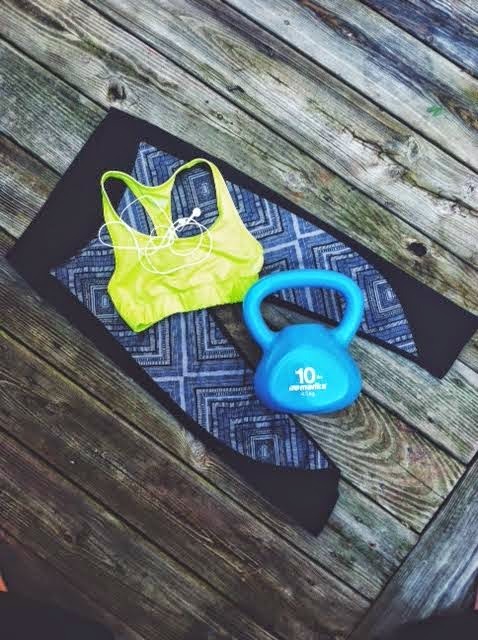 If you are looking for fun workout clothing, try Fabletics! New members get a complete outfit for $25, and if you use my invite you will get $10 off! Their active wear is well made too. I really love the long sleeve top, it's perfect for the days I am running outside in the cold. 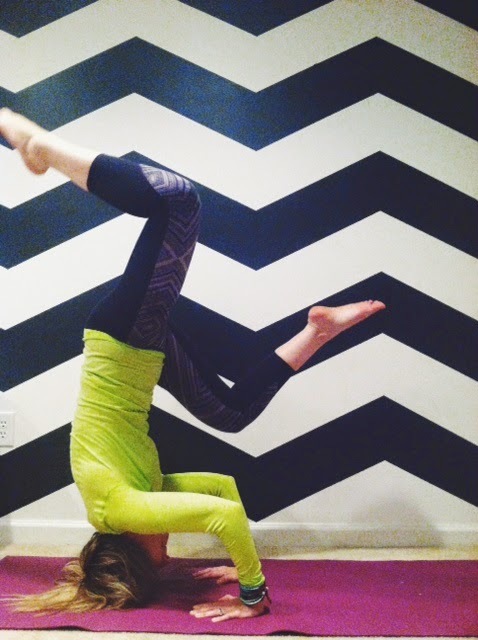 LOVE the pants - they are so fun, and great to do yoga in! Their clothing really supports my active wear addiction! I have washed my top, and bottoms a few times, but I do not dry my workout clothing. I picked up the sports bra from Target, and the kettlebell is from TJMaxx.